In early 1984 my brother Ed Coyne walked into my San Rafael law office and suggested we make a modest investment in the historic riverboat Delta King. I had never heard of the Delta King. Ed described the famous vessel and its storied history on the Sacramento River. 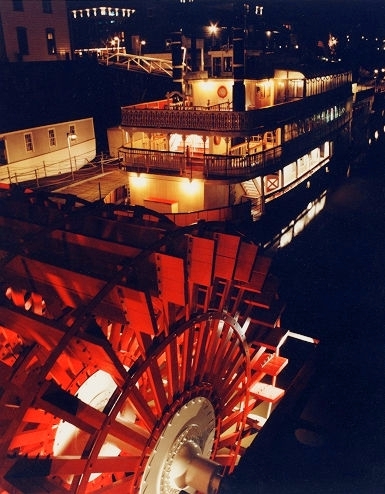 He elaborated on the striking white super-structure, particularly as contrasted with the maraschino cherry red of the churning paddle wheel. He referenced the beloved, identical sister ship, the Delta Queen, which was famously operating out of New Orleans on the Mississippi River. Ed spoke of the 14 years that the DK and the DQ commuted between San Francisco and Sacramento from 1927 to 1940 and their role in World War II. In short order my 3 brothers and sister and I agreed to invest in the glorious Delta King. It has been a long and fascinating journey, populated with adventure, misadventure, stories, great characters, acquaintances and friends. 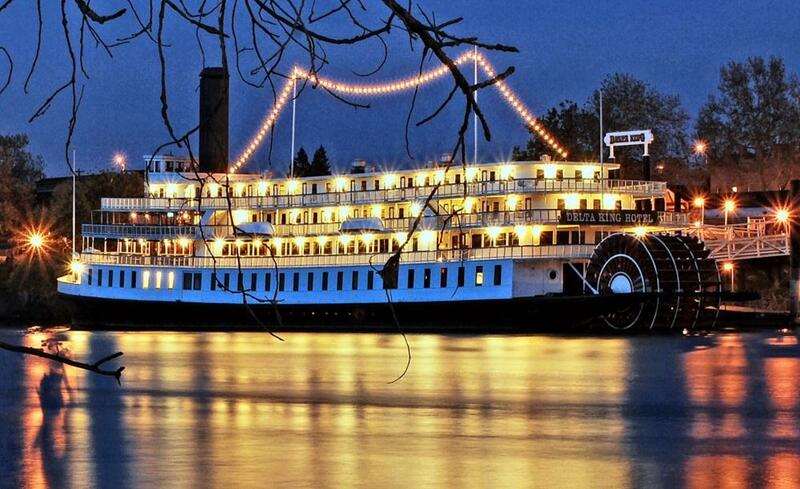 Only the historic Delta King could have opened such opportunity, such a life for us. 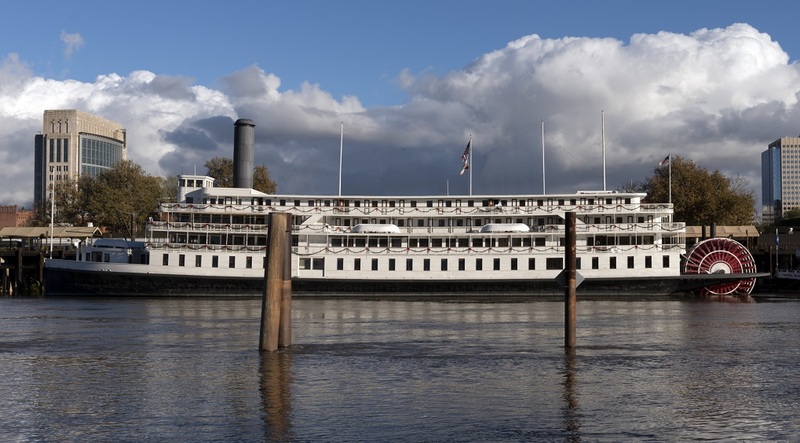 The Delta King is an authentic 285-foot riverboat that was originally built in Glasgow, Scotland and Stockton, California. The King and her identical twin, the Delta Queen, were christened on May 20, 1927, and began their daily river voyages between San Francisco and Sacramento in June of that year. At 6:00 p.m. each evening, the grand monarchs of the Delta left their docks for the 10-1/2 hour trip that included prohibition era drinking, jazz bands, gambling and fine dining. A stateroom was $3.50, but for a dollar and ". . . your own blanket" the night could be spent on the Cargo Deck. The completion of the Golden Gate and Bay Bridge in 1937 and 1938 spelled the doom of the California river boat. By 1940 the King and Queen were out of business and readied for transport to New York. Then the war broke out. Both the King and Queen were drafted into the U. S. Navy to serve on San Francisco Bay as net tenders, floating barracks, troop transports and hospital ships. They were painted Navy gray and renamed YFB 55 (Delta King) and YFB 56 (Delta Queen). At the conclusion of the War, the Delta Queen was purchased by the Green Line Steamers of Cincinnati and taken, via the Panama Canal, to the Mississippi River where she served as the flagship of the Delta Queen Steamboat Company. When the Queen left for the east, she took the engines from the Delta King for spare parts. The Delta King has been towed everywhere it has gone since then. In 2008 the United States Congress declined to extend the exemption for the Delta Queen to provide overnight passenger service. (Current regulations do not allow overnight passage of vessels with wood superstructures.) The Queen was for a time in Chattanooga Tennessee as a land side hotel and entertainment facility, much like the Delta King has done. After the war, the King was ingloriously shuttled between Canada and California as a derelict with hopes of becoming a floating Ghirardelli Square or Chinese Restaurant dashed by sinkings and litigations. At one time the Delta King was a landlocked barrack in Kitimat, Canada, used by men working in the nearby aluminum . 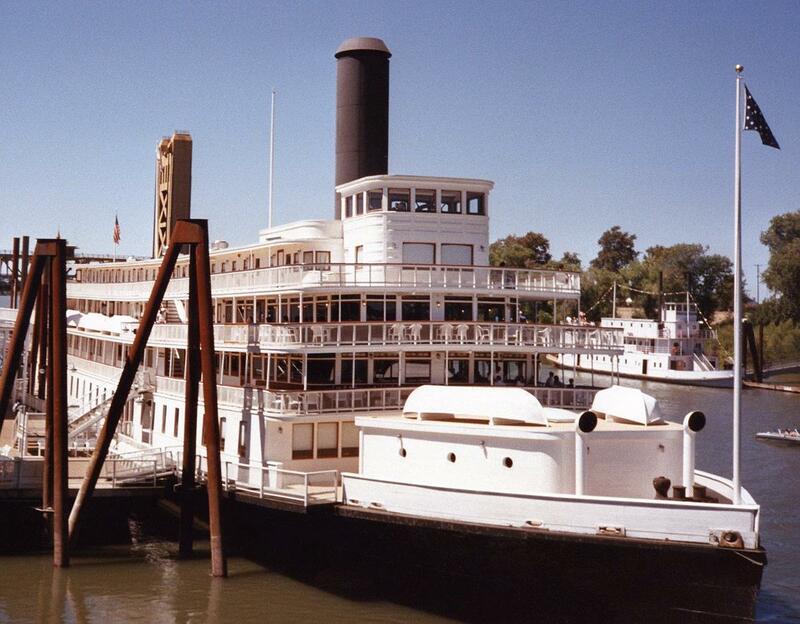 In 1984, after being partially submerged for 15 months in San Francisco Bay, the Delta King was acquired by my family and towed to Old Sacramento, where it underwent a complete historical renovation. Five pain-staking years later the Delta King reopened to reign, once again, as the heralded monarch of the Sacramento River. Today, the beautiful floating hotel enjoys year-round activity. The original 88 staterooms now number 44 larger rooms. The award-winning Pilothouse Restaurant is called a "must dine destination" by the Sacramento Bee. The Delta King is on the National Register of Historic Places. The most frequently asked question about the Delta King is how much of the original woodwork were we able to preserve. The answer is "quite a bit". If you look closely at the beautiful woodwork in the Delta Bar and Grill and in The Pilothouse, you can discern what is old and what is new. There is a subtle but distinct difference. Not all the old wood went back into its original position, but it was preserved, rejuvenated and used whenever possible. Initially, we had partners in architect Walter Harvey, since deceased, and his wife Joanna. Walter insisted on using the original wood, at considerable additional expense, often over objection. Walter was right. Another frequent question is whether it is a "boat" or a "ship". There are many different definitions of the terms. The one I consider most apropos is a dictionary definition of a ship as a "large ocean going vessel". The Delta King is large, but not ocean going. Some insist that it is a ship because all boats are "capable of being hoisted onto a ship." By this definition, it would be a ship. Historically, the Queen and King have been referenced as "stern wheel paddle boats". To my mind, this clearly mitigates in favor of "boat" as the proper designation. When we first re-opened for business in April of 1989, every day people would tell us of their first hand recollections of having rode the Queen and King between 1927 and 1940 and of having served aboard the boats during the war years. Today it is rare to have such first hand recollections related. We are mindful of our role as caretakers of an important historical artifact and its significance to California. This is a brief and somewhat personal reflection on the chronology of the Delta King. 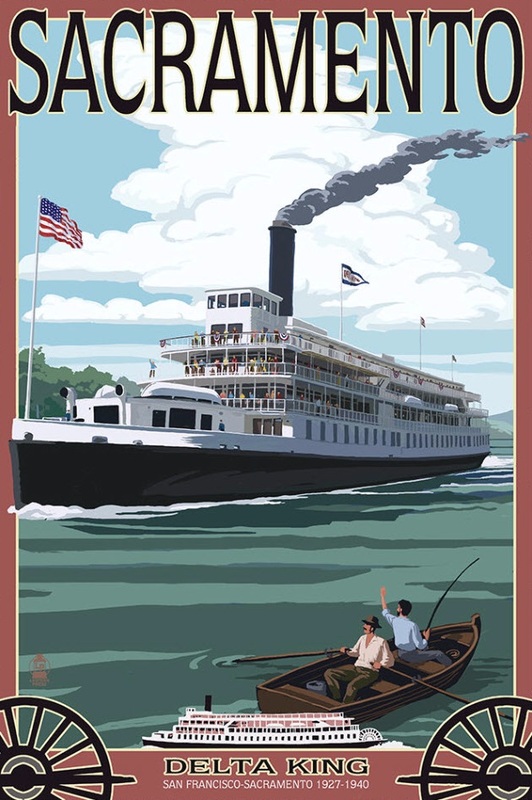 Stan Garvey's excellent book King and Queen of the River, available at the hotel front desk, provides a scholarly and interesting history of the Delta King and Delta Queen, as well as river boating in early California. It is highly recommended. In September of 1947 the Delta King was sold and was being prepared to be sent to Seattle, Washington to be used as a fish cannery, but the work was stopped. The King was than sold in 1952 to Kitimat Constructors. It was to be used as a home for the workers of Alcan (Aluminum Company of Canada Ltd.) in British Columbia. Before it was moved the steam engines, the machinery, and the paddlewheel were removed. These were later bought by Tom Greene as spare parts for the Delta Queen. The boat was then towed in May 1952 to the end of Douglas Channel near Kitimat. At high tide on May 15, 1952 the Delta King was floated into a basin where she rested on solid ground after the water was pumped away. By late 1958 the Alcan had built additional housing for its workers and no longer needed the Delta King. On March 2, 1959, John Kessel of Stockton, Ca, announced the purchase of the King to be used as a theater and restaurant, hotel and museum on the Stockton Channel. The Delta King was refloated and tugged back to her birthplace at Stockton, arriving April 29, 1959. There ensued a never ending battle between attorneys-at law, owners, want to be owners and more. In the fall of 1959 was in the MGM film The Adventures of Huckleberry Finn starring Tony Randall, Judy Canova, Andy Devine, Buster Keaton, Archie Moore and Eddie Hodges (as Huck). The King was filmed from the front and from the distance a tugboat on her side to move her. The real stack was covered with two phony stacks. On July 20, 1969 the Delta King was towed back to Sacramento by a group of people interested in saving the King. The ownership of the King was still unclear. They tried to restore the Delta King for the next 5 years. The person claiming to be the legal owner, Gene Detgen, had the boat towed to Collinsville, Calif. in February 1974. In the summer of 1974 the boat flooded because she got stuck on the muddy bottom during low tide but was soon refloated. The boat was then brought to Rio Vista for a company that soon went bankrupt. On February 10, 1978 M. K. Sun bought the Delta King and brought it to Red Rock Marina in Richmond. He was planning to use her as a restaurant at the San Francisco waterfront. In 1980 Sun got permission for his plan and brought the boat to Lauritzen Channel. On April 3-4 the King sunk again. This time the water was deeper and the refloating job much more difficult. It was not until June 1982 before it was refloated. Once again fate slapped the King. In July 1984 she was again towed back to Sacramento. 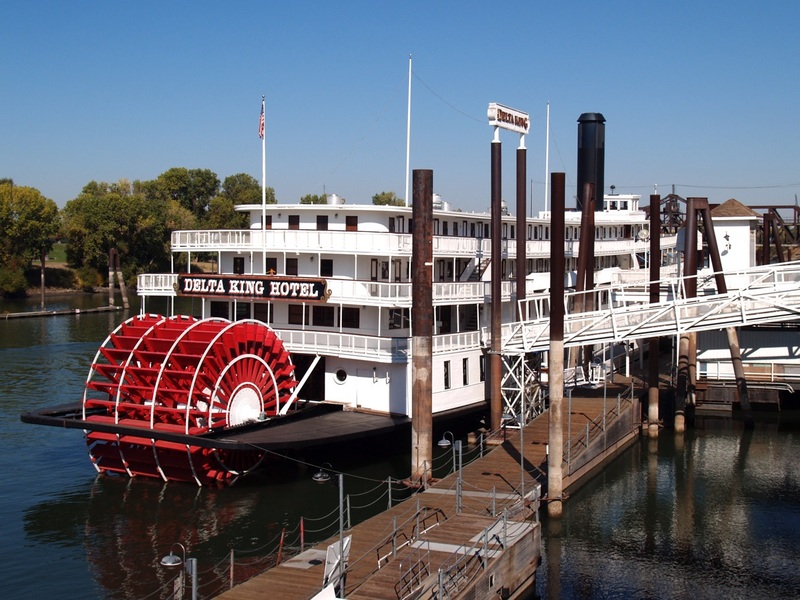 FINALLY in 1985 a restoration of the Delta King was started and on May 20, 1989 a grand opening took place. 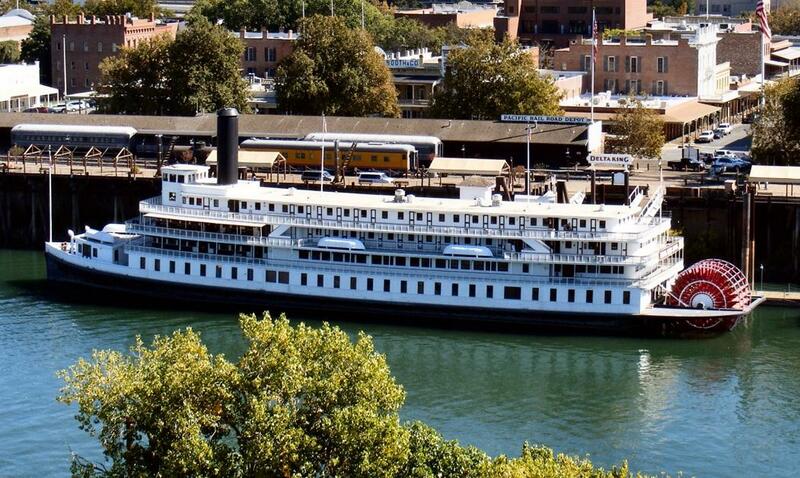 It is now serving as a floating (but stationary) hotel, theater and restaurant at the Old Sacramento waterfront. Attached of the DELTA KING by Carol Highsmith from Library of Congress. I cropped in on the retired steamer, now a hotel, and erased the high rises between the smokestack and the stern which makes for a less cluttered silhouette. DELTA KING's pilot house interior and stairs leading up to it at as seen from the "Captain's Quarters" on the "texas" deck below circa 1992. The pilot wheel is not an antique, it is an imported designer's piece of "nautical decor - a thematic accent" intended to lend a seafaring atmosphere in seafood restaurants etc. Starboard bow view with the little ELIZABETH LOUISE visible on the opposite shore in the background right. 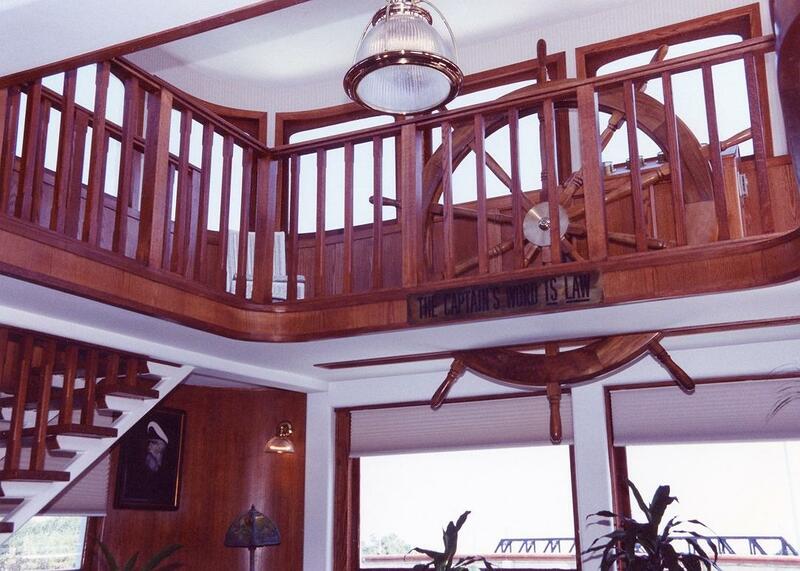 The pilot house interior with Sacramento River outside is reached by stairs from the "Captain's Quarters" luxury suite on the "texas" deck below circa 1992. 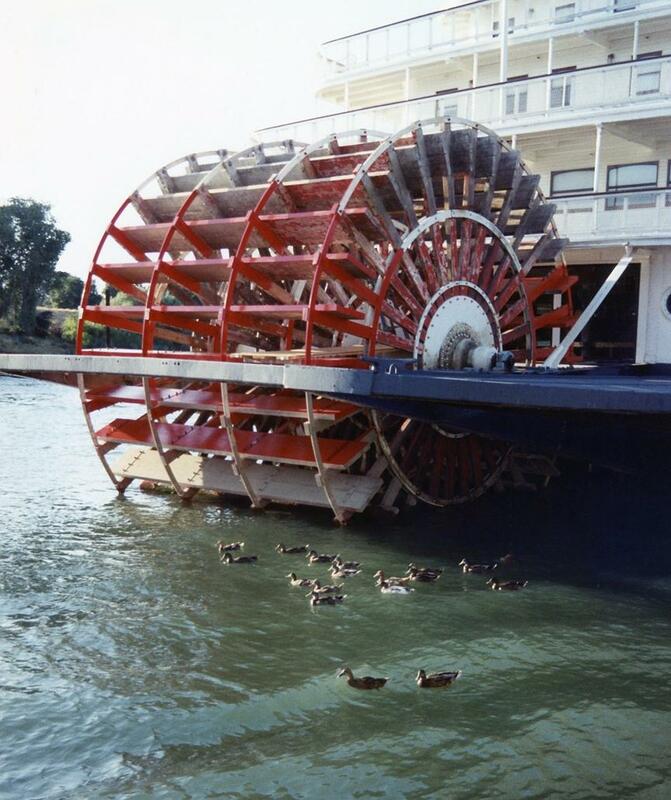 Ducks swimming behind the sternwheel which was undergoing repainting in 1992. The DK's engines had been acquired by the DELTA QUEEN and as I understand it were stored in a New Orleans warehouse. What was the engine room is now occupied by the Paddlewheel Saloon. Sacramento night. 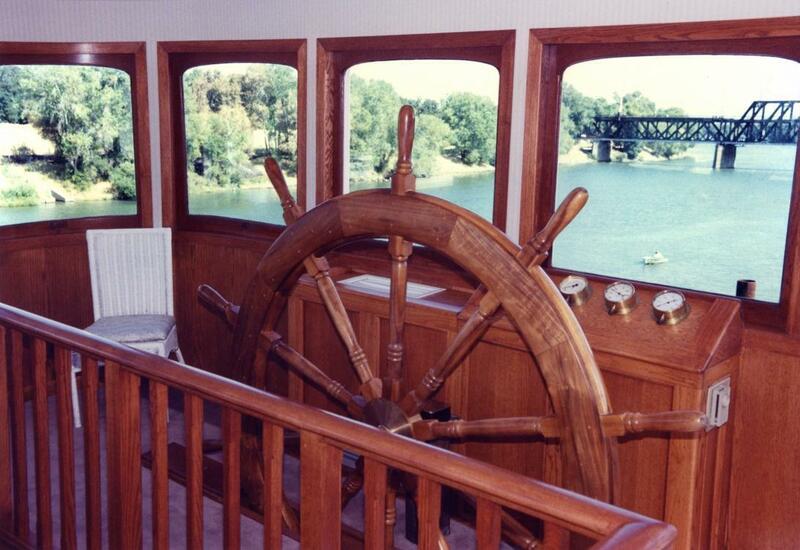 A time exposure taken from the stern of the Delta King with the Spirit of Sacramento behind it, 1992. Sacramento . . . CALIF STEAM NAVIGATION CO. I took this photo in the early 1990s of a large painted sign on the Sacramento waterfrontContemporary version is fine example of the sign painter's art. Richard Chenery was captain of the side-wheel steamer Confidence that ran trips up and down the Sacramento River. At a time when so many boats were running back and forth that fares from San Francisco to Sacramento dropped to 10 cents per person, he joined with other steam captains in 1854 to create a monopoly. The joint stock company California Steam Navigation Company was accused in one newspaper headline of being a "Mammoth Company, and Monster Steamboat Monopoly." 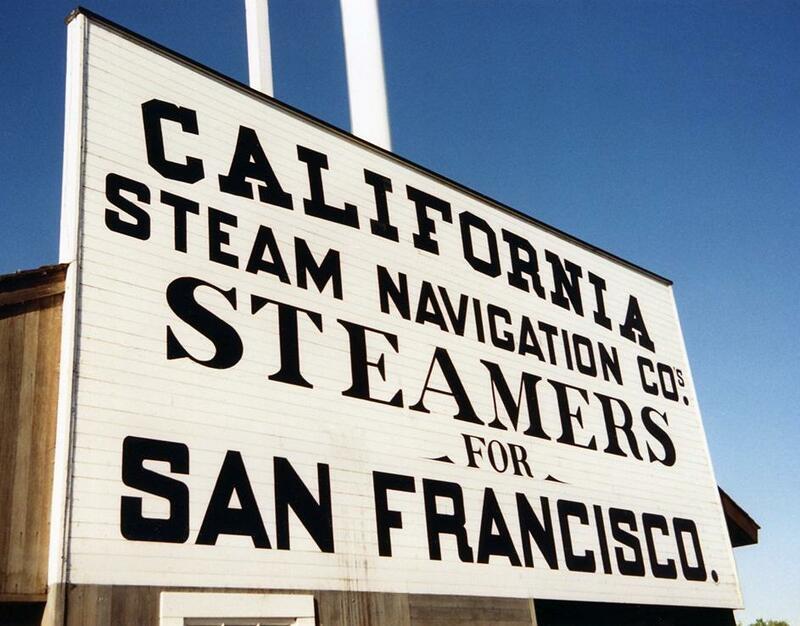 The California Steam Navigation Company was formed to last the duration of fifty years, starting with capital in the amount of $2.5 million (the equivalent of nearly $60 million in 2012). Chenery was elected its first president, served on the board of directors, and also served as agent at San Francisco. Its steamers included the Antelope, New World, Eclipse, Queen City, and Chrysopolis, all of which carried Pony Express mail from Sacramento to San Francisco, and frequently transported the famous Lola Montez to and fro. Dividends were paid to stockholders monthly. Fares from San Francisco to Marysville were raised to $12 per cabin, and freight $15 per ton, while passage from San Francisco to Stockton was $10 per cabin and $6 per ton. Concern was expressed about the advantage such a "mammoth company" would have to the people it served, especially when fees could be raised at whim. Eventually, the state Supreme Court stepped in to restrain the monopoly. The California Steam Navigation Company competed for control of the traffic in the inland waters of the state, and in coastal traffic along the coast of California, Oregon, and British Columbia. Over the next decade, the company established a monopoly on inland water travel in California. On March 31, 1871, the California Pacific Railroad Company acquired all property of the California Steam Navigation Company. Five months later, the Central Pacific Railroad, acquired the California Pacific Railroad Company, which continued the operation of the steamboats of the former California Steam Navigation Company.